Case Study: Is it inauspicious for the dining table to face the main entrance door? Question: Is it auspicious to place the dinning table facing the main entrance door? Often, in many homes (Singapore); and most likely in many other homes all over the world; many of us would place food / bread and other food stuffs and even fork, knife etc.. on the dining table. Take an example of a family of 5 (Husband, wife, 3 children) . The wife (usually the homemaker) would often prepare the food and in a small home, place food on the dinning table. The three children may most likely come home earlier. And the spouse and children may have their dinner earlier. The husband, who works over-time may come back later. (To eat the `left-over' food on the dinning table. Here, the idea is that if we choose to leave our door open, and if we live in an apartment, neighbours passing thru the common corridor could get to see food on our dinning table. Alternatively, if the dinning table is always cluttered with food, drinks etc... and since first impression counts; it would be best to keep the dinning table away from main entrance (view). Another inauspicious symbolic thing is not to have things like fork and knifes facing the main door. Hi Master Cecil, my dining table is facing the main door, and there is no other area to place the dining table. Can you please advise if I could put anything or build anything to prevent the inauspicious feng shui? Frankly, this has first and foremost to do with common sense. And common sense led to taboos. 1. What happens if the dinning table is such a mess? 2. What happens if the family has a sumptous meal and if the main door is ajar; neighbours and others can peer into our privacy. It is because of these two major "concerns" that lead to it becoming inauspicious Feng Shui. If the dining table does face the main door; make sure that the dining table is reasonably neat and tidy. Dear Master Cecil Our main door is Northwest and facing our dining table. I cannot move the dining table because next to it will be the hallway. I’m planning to customise a divider. Pls see attachment. But divider wil be this big H180cm W150cm D40cm. 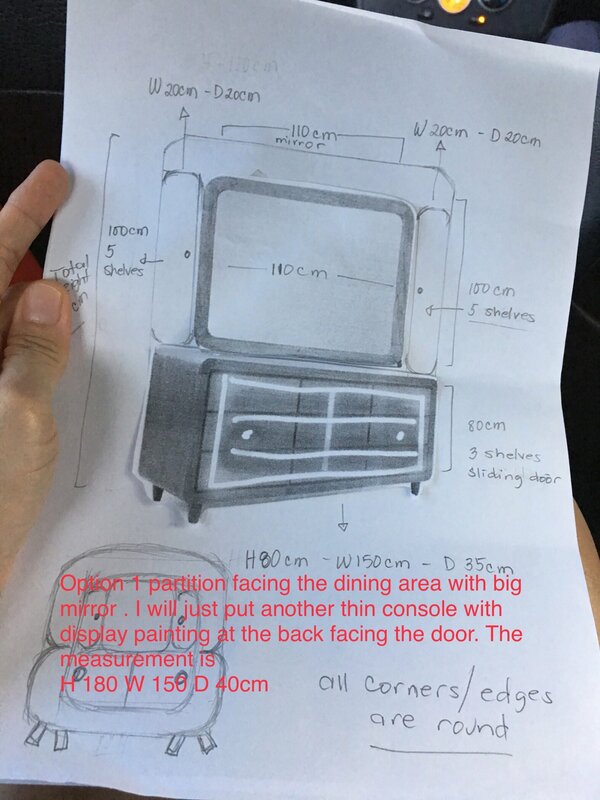 The width Im looking at is 150cm because my table is 1.4 so to cover it i need 150cm divider . 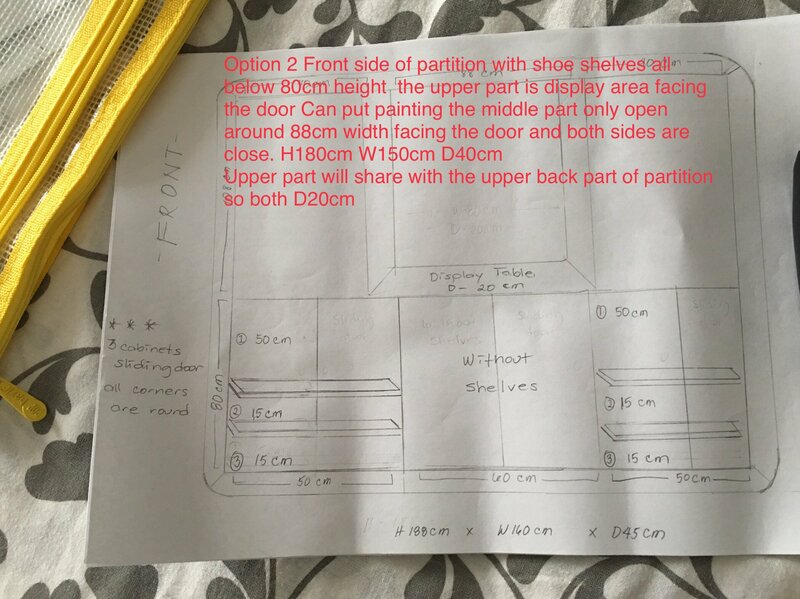 My divider will be a bit number 8 shape as i want everything round shape so no sharp edges.pls advise if u can recommend a sample of divider. 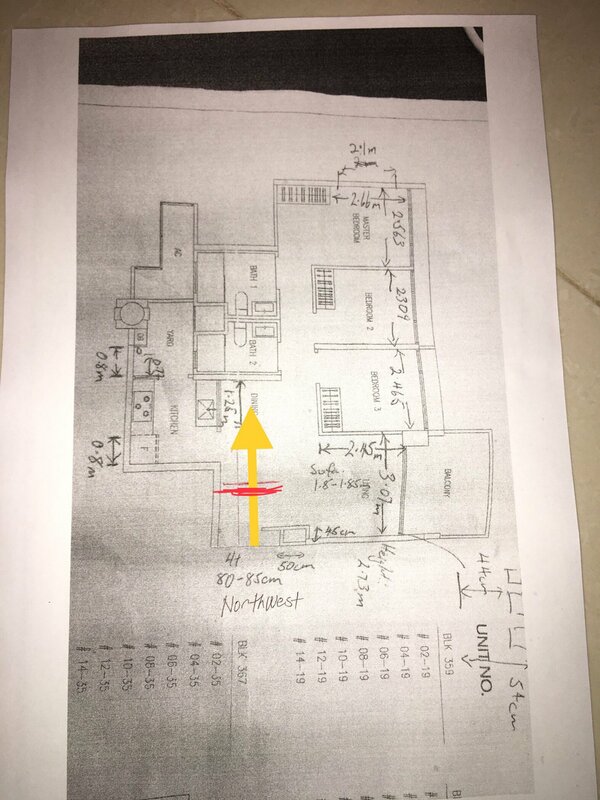 The main door is Northwest am thinking round shape will be ok? Thanks a lot! Am so excited for your reply. 1. In a condo environment, majority often close their main door when not in use. And especially newer condos; there are less residents leaving their main door ajar. 2. I believe in this example; the main concern is the main door opening towards a dining table. 2.1. Frankly this has more to do with a stigma than Feng Shui. 2.2. For example, where the main door is opened during consumption of food e.g. dining; and if people walk past.. they could see the family eating their meals. More to do with privacy concerns. Thus this is what lead mostly to the grandmother tale or stigma that one should have a partition between the main door and the dining table. 2.3. However, the main concern is that the main door should not open directly towards the living room windows or balcony. Even so, closing the window or panel or the use of curtains is one consideration. 2.3. The other consideration has more to do with common sense. Where "first impression counts". Thus when one opens the main door and the first time one sees is the dining table. Some dining tables are really messy... then a partition is considered "good". 3. 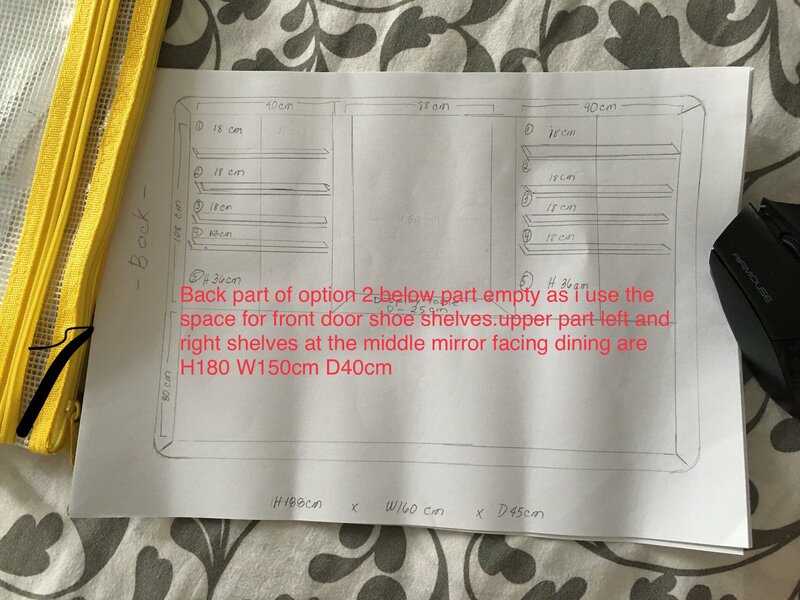 In fact, based on this layout the glass panel of the kitchen is even not facing the door. Thus the internal organs of the kitchen is not seen such as the sink / drying of forks/spoons / scissors / knifes are not seen. So what is the problem, here? 4.1 Under Symbolism in Feng Shui, the proposed partition is exactly in the middle and the "blade" of the partition is like a knife spliting the living room in half. 4.2 Ideally even if one wants to install a partition, waist high and above should preferably not be air-tight. Although from the sofa, it seems that one has a view of the main door. Thank you Master Cecil for taking time to answer my question!